The main design achievement was in winning Plnning Permission to extend an already large Edwardian house with a significant extension that incorporates first floor guest accommodation over a double garage and storage. 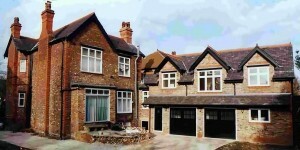 A full-length roof truss enables the upper level to be substantially open-plan internally, while the external appearance is designed to blend in with the existing building. 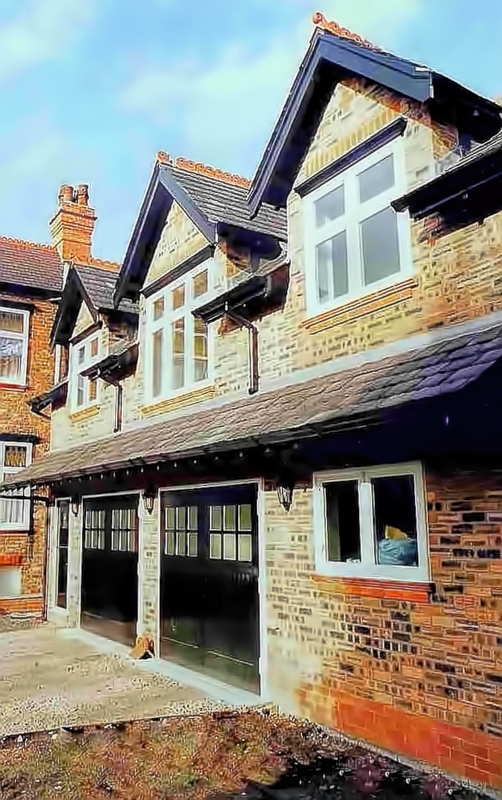 The client wished to extend their Edwardian house in Manchester to the rear, to provide self-contained living accommodation for their extended family, and also provide a double garage and storage. 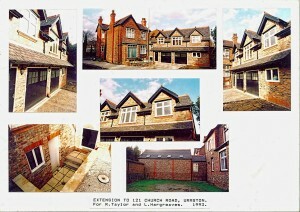 The challenges were to create an extension which was in itself quite large, in keeping with the design vocabulary of the original, be economically constructed, with much of the upper level open-plan, and still comply with modern building regulations, especially with regard to heat loss and roof void ventilation. 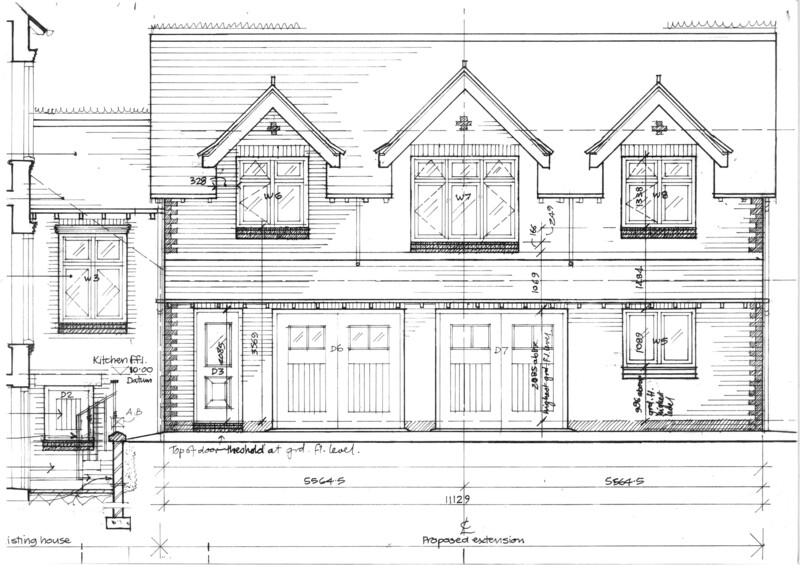 A single truss runs the length of the ridge, enabling an open plan at the upper level, and avoiding the need to support purlins at dormer eaves level. 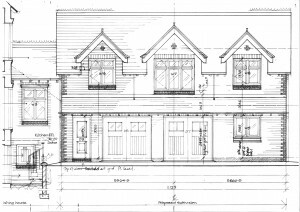 Deep rafters from ridge beam to eaves enable building regulations requirements to be met both for insulation and for eaves-to-ridge ventilation of the roof structure above the insulation. 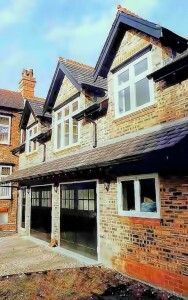 The canopy across the full width of the extension not only gives protection from the rain, but also acts as a visual foil to disguise the height of the extension.